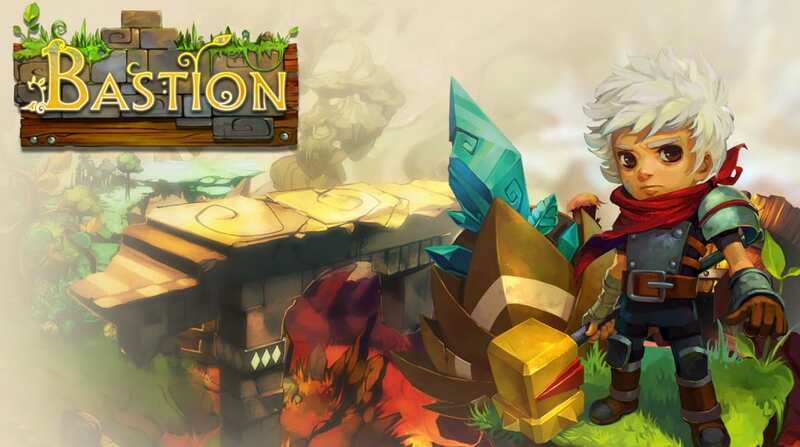 Bastion is an indie action RPG , winner of several awards, developed by Super giant Games. The game counts with support for several platforms like Xbox 360, Xbox One, PS3, PS4, Windows, Linux and Mac. Bastion is an action RPG produced by independent developers of Super giant Games and published by Warner Bros. Interactive Entertainment. Beginning with the story, the game revolves around a character known as “the Kid” or “the Child” in Portuguese, who awoke one day and discovered that the world was destroyed by an event called Calamity. The focus of the story is the journey of “the Kid” in the few remaining pieces of the world in search of pieces to repair a shelter for its people, called “Bastion”. The campaign proceeds in a system of phases and the story is told as the player advances on them. Who tells the story is a narrator called Rucks, who speaks details of the characters and the world of Caelondia while the player goes through the scenarios. If you’re a more curious player, you can find extra details about the story in some special stages, unlocked throughout the game. The game’s narration is dynamic so some player actions like the weapons it uses or the paths it chooses are narrated in real time. But if on one hand this story makes the world of Bastion more alive, on the other hand it makes the main character seem, in a certain way, distant. As you progress through the game, you will find some old objects that have been lost. They are known as “Mementos,” and can be taken to the Rucks and serve as clues about the characters’ past and the events that triggered the Calamity. The story is full of sad and heavy moments, making the player go through losses and witness the destruction of a world, provoking a reflection on the importance of what remained after this event. Although deep and seemingly complex, the story is very well unrolled and presented to the player in the course of their adventure. 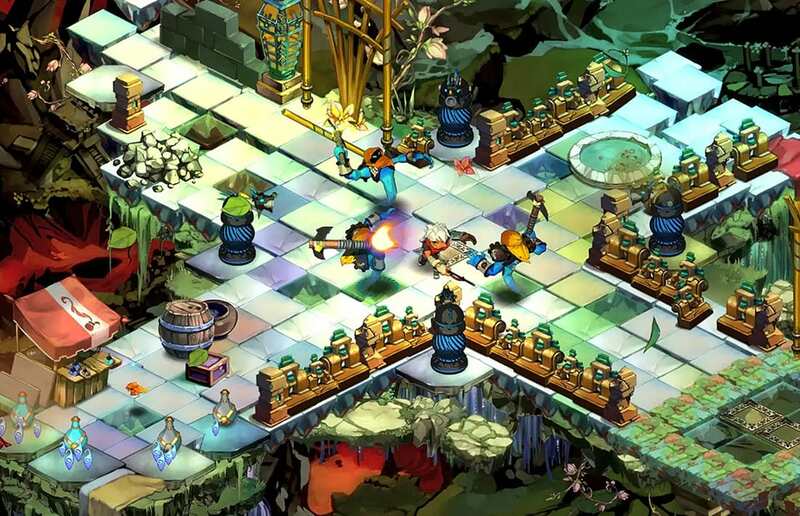 There are many opportunities in which the game reveals the whole story about “Bastion” and the terrible “Calamity”. In terms of gameplay, Bastion has some RPG elements. Among them, you can improve and modify your character in several ways. Best of all, these enhancements can be changed at any time. That way you can test all the weapons and their variations to see which style of combat you like best. As you advance in history by defeating enemies you gain experience points that increase your level. In missions are also fragments of the Ancient World and features that can be combined to enhance the various weapons available during the game. 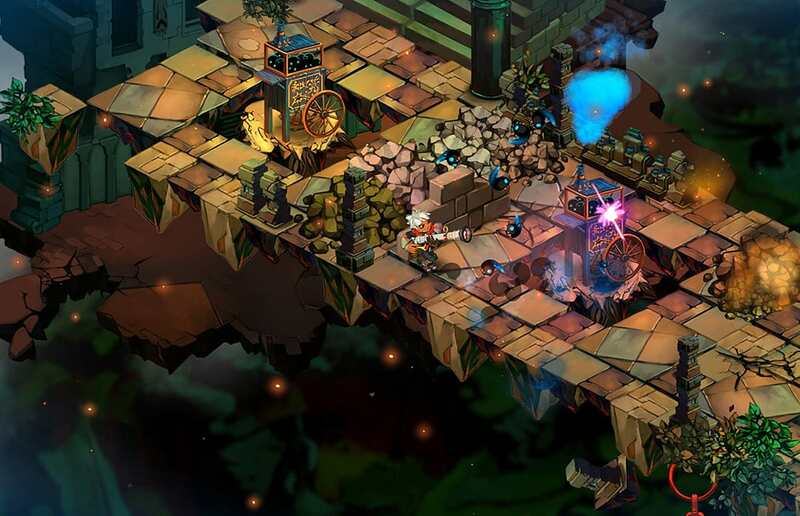 The battle in Bastion is simple but challenging. The player can choose 2 weapons from his arsenal and 1 special ability. There are more than 10 different weapons, including short range weapons, long range weapons, area damage and other variations that are used to deal with enemies, which have several mechanics added little by little during the game. At different times they also appear with variations of power and blows. In addition to weapons and various abilities, the player has a shield that can be used to defend or reflect attacks. Also has the ability to dodge by doing a somersault, very useful for situations with multiple enemies. In addition to life, combat has 2 additional features that are limited and therefore must be well managed which are Health Tonics , which recapture part of the character’s life points, and the Black Tonics , which represent the number of skill loads that can be used. There are also some special stages called Proving Grounds where you can test your abilities with each weapon challenging to get new materials and special skills. All these elements together make you feel encouraged to test the various options of the game and this ends up changing the gameplay of the battles. This is undoubtedly a good point since with the passage of time the fights can begin to get a little too repetitive. Since the commands are simple and the number of different enemies to deal with is not so great, combat, though dynamic, can begin to become repetitive in the course of the game, and in some cases even easy. While this sounds bad, the game offers 2 cool ways to deal with it: The first is the Proving Grounds and the second is a temple, where the player can choose to increase the difficulty of the enemies in exchange for bigger rewards. These two elements together help to compensate for the replay of the combat by adding new levels of difficulty and allowing the player to experiment with new combinations of weapons and punches. Talking a bit about the visual part, Bastion does not have fancy graphics but it’s a work of art. The game environment is completely hand-drawn and has a rich and diverse color palette. Although 2D, the wide field of view of the isometric camera gives a feeling of depth and immersion. Colors are also well used to represent changes in history, adverse situations or areas of danger. During the history several places are visited and each one of them has its own visual personality, with different graphic elements and a theme always well defined and explored. These details are also seen on the backgrounds, whose design accompanies the identity of each site that it is responsible for filling. In addition to the incredible visual, the graphic of the game still surprises with a very interesting feature: the map is being built as the character walks through the phase. This feature in addition to facilitating the player to move around the map, since the player can only walk on the floors that arise, also enhances the player’s experience, as if you were creating the world as you walk on it. Sound effects, in general, are not the flagship of the game. This is not a criticism, it’s not as if the sounds are poorly made or anything of the sort, since Bastion delivers with the sound effects just what you expect it to deliver. Objects being destroyed, weapons firing, projectiles being reflected, elixirs being collected, all these and other events that occur in the game present their respective sound effects. It is possible to perceive the sound production team’s concern in making these effects sound natural to the player. The fact is, they are simple without many details. It is worth emphasizing that, since the audio of narration and music is by default higher than that of sound effects, perhaps this is really the goal of the game, to direct the sound importance to narration and music to the detriment of the specificity of the sound effects . In compensation, the game’s music is excellent. It is common that in many games the soundtrack is in the background, but this does not happen Bastion. From beginning to end of the game high quality songs can be heard accompanying the adventures of “the Kid”. The more than twenty bands mix diverse styles and combine with the various moments of history. With influences ranging from country to electronic music, the soundtrack of the game is so well crafted that it will want to make you listen again. Bastion has a first-rate voiceover that was critically acclaimed. The excellent quality of the dubbing will make you find the more than three thousand lines of dialogue of little Rucks and still want more. And because of the dynamic narration mechanism, the experience is even better. With the quality that the dubbing of Rucks has, it is a pity that he is practically the only one to speak in history; a little variety would be very welcome. But since what is in the game is very good, we let it go. In conclusion, Bastion is an excellent game that, despite presenting a short campaign and not presenting multiplayer mode , the new game modes released after the end of the campaign, different combinations of weapons and all variations of difficulty will surely guarantee you many hours of fun. 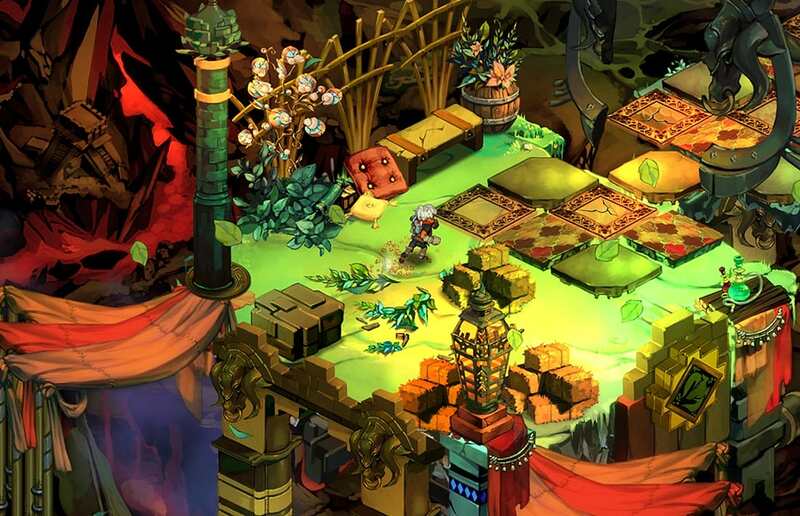 Bastion is undoubtedly a game that is worth the investment.